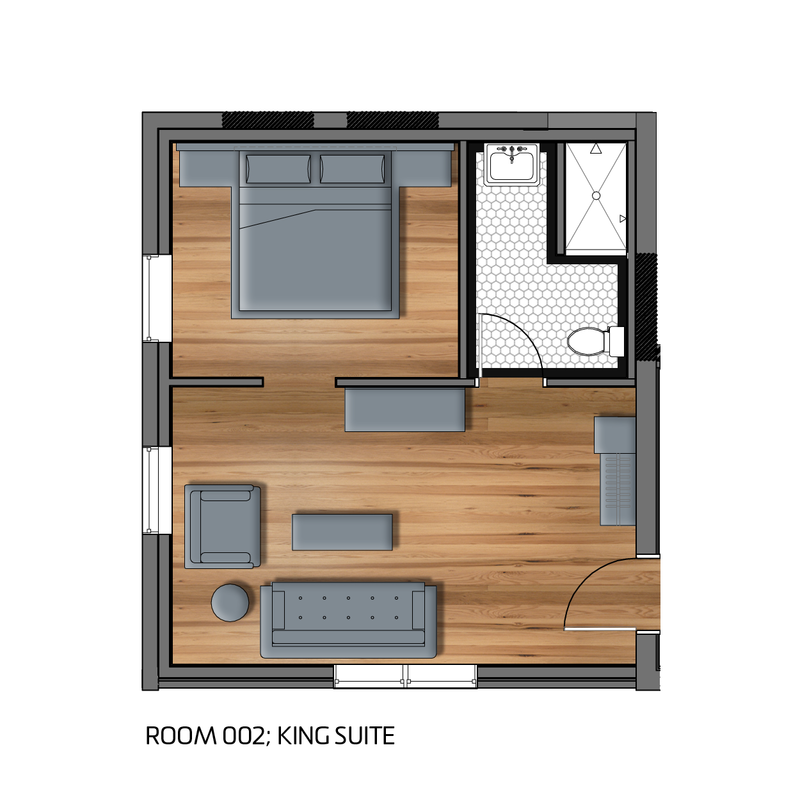 Located on the ground floor, the 500+ SF Bramhall Suites feature extravagant living, each comprising a living room, king bedroom, and luxurious bathroom. 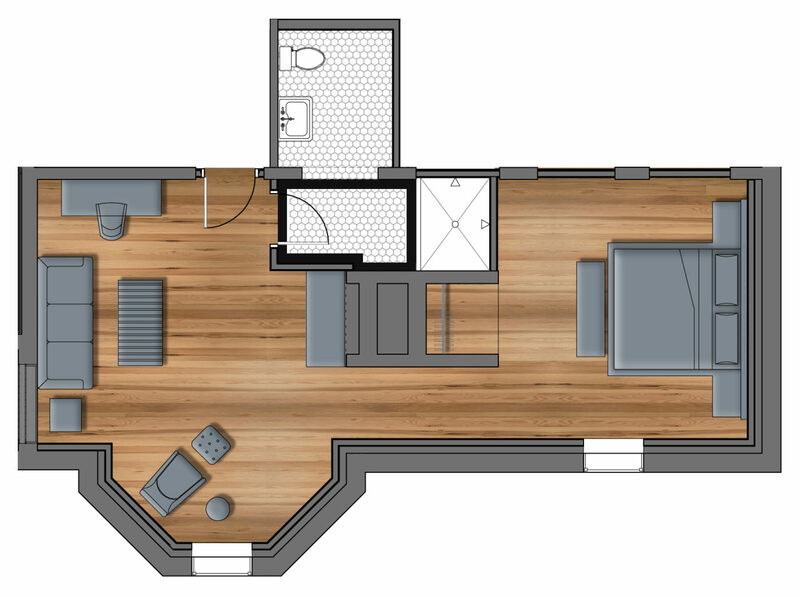 The spa-like bathrooms include Malin+Goetz amenities and custom tiled showers. 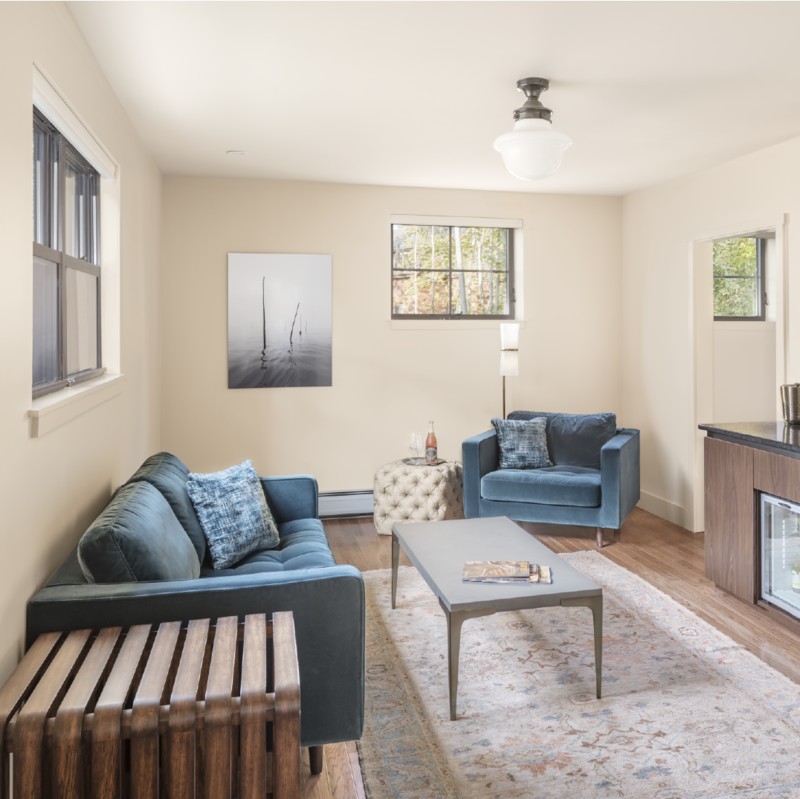 For guests looking to spend some time in the room, each suite’s living room boasts comfortable seating, a bar filled with Maine-made snacks and refreshments, and a wall-mounted HDTV.